Gardening checklist. 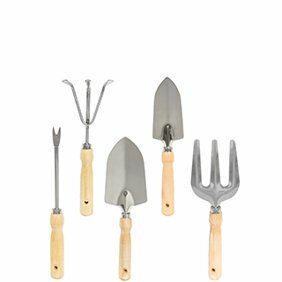 Stock up before you start—we have everything you need for your gardening tasks. With tool sets, gloves, kneelers & more to make it easy, you’ll be getting your hands dirty in no time. Food just tastes better when you grow it yourself. 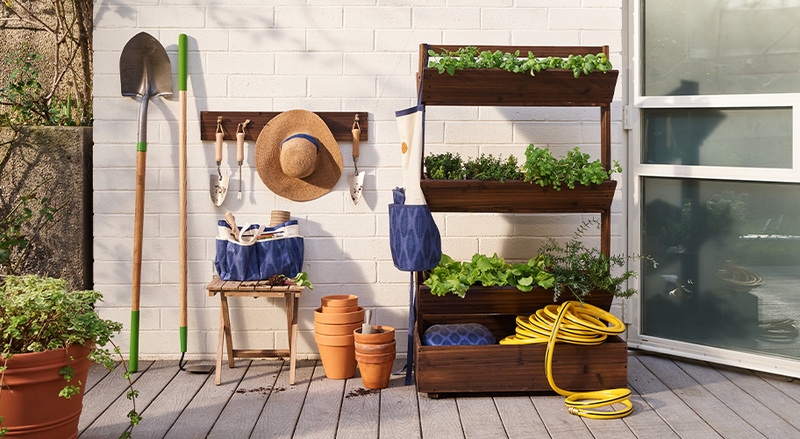 We make it easier with raised garden beds for streamlined planting & watering, trellises to support growing vines & all the other tools you need. Maintaining a lawn or garden is something that takes time and effort, but it's so rewarding when everything starts blooming. Both your lawn and the plants and vegetation you have need plenty of water and sunlight, which you and Mother Nature provide. 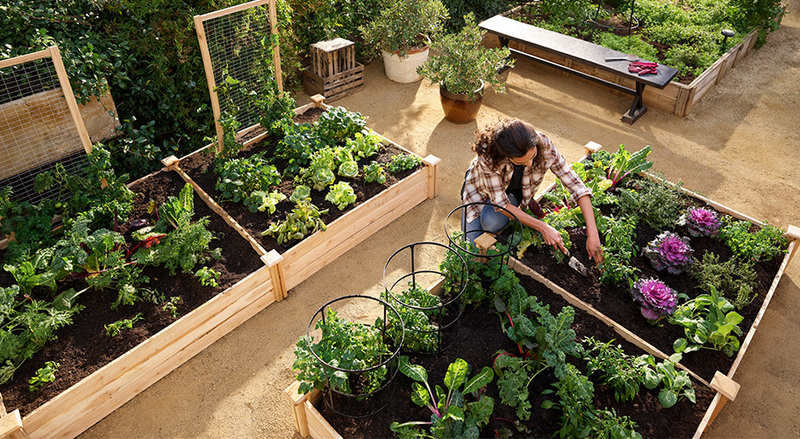 However, your greenery needs a little help in the form of food, fertilizer, pest control and other treatments to keep everything growing and producing as much as it can. With our low prices, every day, on everything in our Garden Center, you can create a terrific-looking natural space for yourself, your family and your friends without breaking the bank. In addition to frequent cutting, edging, trimming and other maintenance steps you do to maintain a healthy, beautiful-looking lawn, you need to keep it fed and pest- and weed-free. If you have bare patches in your lawn, spread some grass seed in the bare spots. It'll take just a few weeks for the new grass to fill in. Make sure you're using seed that matches the type of grass you have, such as fescue or Bermuda grass. Keep your lawn fed properly by using fertilizer. Fertilizer comes in large bags from 10 pounds to 25 pounds and serves as the primary food for your lawn. It's recommended that you use a fertilizer spreader to apply fertilizer in an even pattern. Too much fertilizer in one spot can cause your grass to "burn" in direct sunlight. Choose a spreader that's suited for your lawn. If you have an average- to large-size lawn to maintain, you'll want to use a spreader that you push across your lawn that spreads the fertilizer out as you walk. If you only have a small patch of grass to maintain, such as at a condominium or apartment with a back yard, choose either a handheld spreader or apply with a wand using liquid fertilizer. 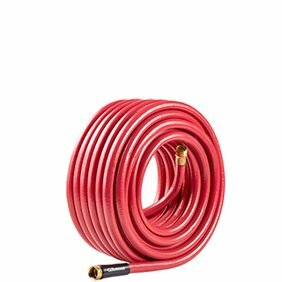 There are even liquid fertilizers you can spray using your own water hose. Even before you plant your first flower bulb, vegetable, bush or tree, it's important to prepare the soil. The first step is to clear any weeds and old vegetation from the area where you plan to do your planting. Then, it's a good idea to enrich the soil with new garden soil or topsoil. It's also smart to use a pH level tester on the soil to make sure the pH levels are correct for the plants you wish to grow. It might be necessary to add some lime or calcium to the soil until the nutrient balance is correct. Once you've sown your seeds or planted your plants, it's necessary to keep them feed. If you apply garden soil initially, many brands have fertilizer mixed in with the soil, which feeds your plants for a few weeks. However, as the plants and flowers mature, it becomes necessary to feed them periodically. A good way to take care of this is to attach a liquid fertilizer container to a water hose to disperse a measured amount of food to your plants. 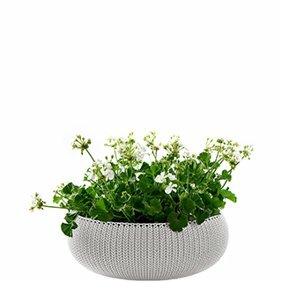 If you don t have a patch of land to grow plants, there are many other options available, such as planters, vases and boxes. If you don t have access to a water hose, a watering can will deliver the water the plants need. If you have weeds popping up in your lawn or garden, you want to remove them right away so they don't overrun your lawn, vegetables or other plants. In your garden, it's best to remove them by hand, such as by using a garden shovel, trowel or asparagus knife to dig beneath the roots of the weed and remove it completely. Any weeds that have roots remaining in the soil can regrow in time, which means you'll need to repeat the process again. For lawns, you can apply fertilizer to your grass that has weed killer mixed in, allowing you to "weed and feed" your lawn that the same time. 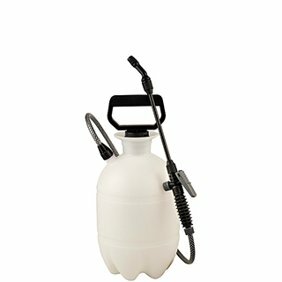 For weeds that pop up individually on your lawn, such as dandelions or crabgrass, and for any weeds that grow between patio or sidewalk sections, you can use a spot sprayer to kill them directly. These usually kill the weeds within a few days. If you have garden pests, such as ants or crawling insects, that are eating or killing your plants, there are options you can use to kill the pests without harming your vegetation. A good example of this is diatomaceous earth, which provides long-lasting control against harmful insects. It's safe for pets, and you can even use it inside your home.